The crypto market maintained its position throughout the week until Monday morning when the market lost $4.5 billion within a few hours. 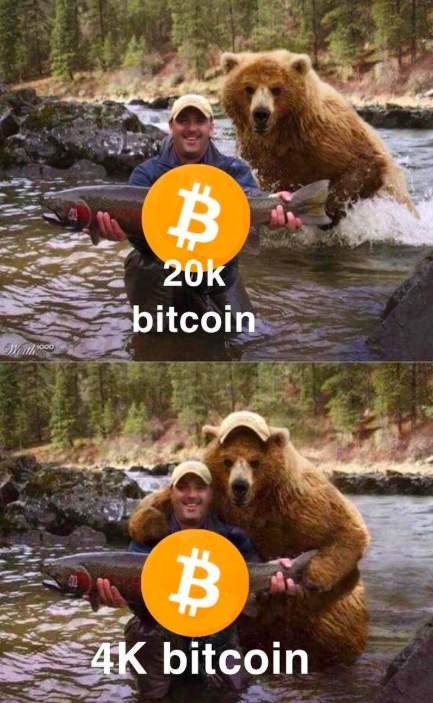 Bitcoin is down by 2.4% to $3785. Ethereum had successfully activated its Constantinople upgrade which reduced the block rewards from 3 ETH to 2 ETH. Small Ethereum miners might shut down due to financial pressure. Ether is down by 9.5% to $129.52. Last week Coinbase has listed Ripple to its platform. 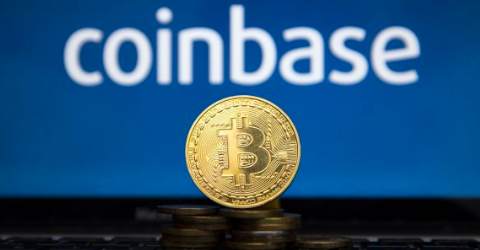 Crypto enthusiasts suspected that Ripple has paid a listing fee to Coinbase. However Ripple denied paying Coinbase to list XRP. ING recently carried out a survey on over 14000 European consumers with the question “Do you own some cryptocurrency?”. The survey revealed that 9% of Europeans own some cryptocurrency. The result also showed that Turkey owns the most amount of cryptocurrency among other European countries. Another new survey conducted by eToro, trading platform found out that 43% of millennials trust cryptocurrency more than the stock market and 71% of them would invest in cryptocurrencies if they were offered by traditional financial institutions. Who was the first person ever to receive a Bitcoin transaction? More than 420 types of cryptocurrencies became fully operational at the MrCoin website. Hungary’s first crypto exchange founded in 2014 further strengthens its market position, as it provides the widest supply of cryptocurrencies ever for those interested in digital assets. In the new variety there are a total of 422 cryptocurrencies. Among others, you can find Ripple (XRP), Monero (XMR), Stellar Lumens (XLM) or ZCash (ZEC), which are currently the most popular cryptocurrencies at the most popular crypto exchanges. The new portfolio also features Hungary’s largest supply of stablecoins, including Tether (USDT), USD Coin (USDC), DAI (DAI), or the Hungarian Augmint Euro Token (AEUR) and the Inlock Token (ILK).  The newly introduced coins can be exchanged for a fee of 1% until 20th April 2019. Facebook is planning to launch its own cryptocurrency for WhatsApp in the first half of 2019. An anonymous source claims that the new Facebook coin will be a fiat pegged stablecoin. The value of the coin will be pegged to three different national currencies, instead of just one. When Facebook launches its coin millions of people will be exposed to cryptocurrencies and will help average users how to use crypto. 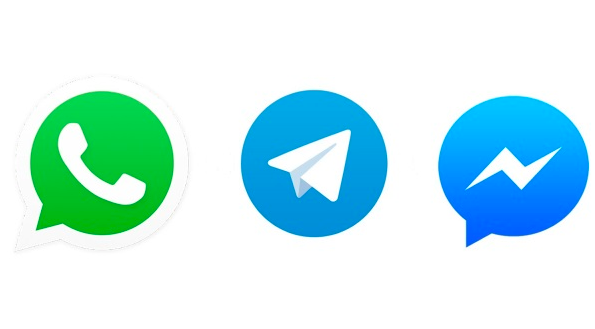 Russian developed Telegram and an encrypted messaging service Signal are also working on to launch similar coins over the next year that allow users to send money on their messaging systems. Only we have to remember that all of these coins will be built on the most centralized platforms. Last month, a major Canadian crypto exchange QuadrigaCX filed for bankruptcy after its CEO suddenly passed away with the private keys to the exchange’s cold wallet. The exchange owes $190 million to its users. Many people have found the incident too suspicious to be believed. 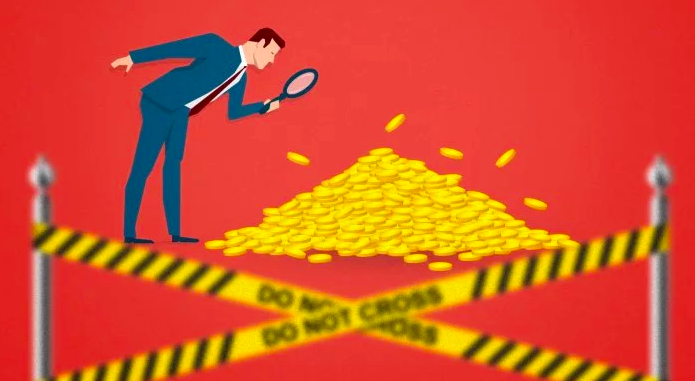 Kraken exchange offered a reward of up to $100,000 to anyone who can help solve the mystery and lead to the discovery of the missing funds. However, a recent report suggests that QuadrigaCX’s Ether storage was found. Over 600 thousand Ether, worth almost $100 million, have been sent to several exchanges. Allegedly Bitfinex, Kraken, Poloniex are among the exchanges that received funds. There may be hope for token holders who lost their funds on QuadrigaCX. Coinbase users are protesting against the company's acquisition of the blockchain analysis firm Neutrino by deleting their accounts. Crypto enthusiasts revealed that the founders of Neutrino were the founders of Hacking Team, a notorious Italian IT firm who created surveillance tools for governments to spy on their citizens, activists, journalists and dissidents. Hacking Team enabled governments to commit violations of human rights and freedom of information. As a result Hacking Team got shut down but immediately founded Neutrino and that was acquired by Coinbase. Now Neutrino, the same people behind Hacking Team have access to all of the Coinbase user data. Coinbase admitted that they had to acquire Neutrino because their previous tracking provider sold Coinbase customer data to third parties which further infuriated Coinbase users. The competition in blockchain smartphones is increasing. Soon there will be 5 different blockchain smartphones you can choose from. In the last newsletter we covered Samsung’s Galaxy S10 which has a built in cryptocurrency key storage. 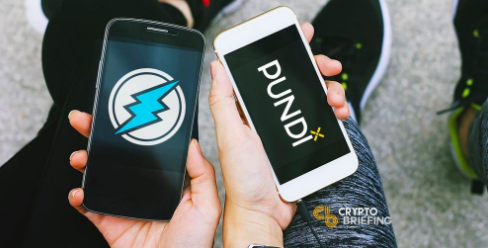 Other smartphone manufacturers are also getting into crypto such as HTC’s EXODUS 1, PundiX’s XPhone, Sirin Labs’ Finney and Electroneum’s M1 smartphone. Each of these devices interacts with cryptocurrency in its own ways. The EXODUS 1, Galaxy S10 and Finney all have built-in cryptocurrency wallet, allowing users to securely store their cryptocurrencies. The XPhone claims it has a blockchain based peer-to-peer calling system. The M1 will allow users to mine its producer’s ETN tokens. All of these phones aim to make the cryptocurrency and blockchain safe and easy for everyone. 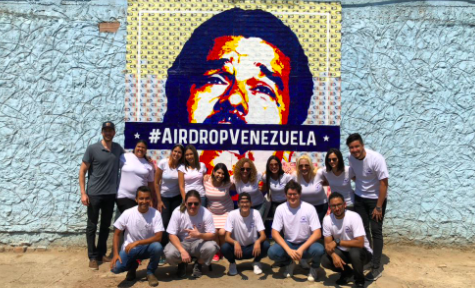 Cryptografitti, a cryptocurrency specific artist is doing an Airdrop Venezuela campaign to raise funds for those in need via an interactive mural. The mural is comprised of 1,000 bolivars on which a portrait of Nicolas Maduro, the current Venezuela’s president is painted. With each donation, a bolivar from the mural will be removed off by a Venezuelan citizen. Since Maduro took office in 2013, Venezuela has suffered drastic inflation, starvation and economic decline. Anyone could donate $10 and watch live video as one of the thousand bolivar notes is removed bringing Maduro down literally and figuratively. So far, the campaign has surpassed their goal to raise $10,000. Half of the donation will be used to rebuild a roofless daycare called Fundación Renacer and the rest will be used to further help crypto adoption locally. A block explorer is an online blockchain browser which displays the contents of individual blocks and transactions and the transaction histories and balances of addresses. Hal Finney, American cryptographer was the first person to receive a Bitcoin transaction. Satoshi Nakamoto sent him 10 Bitcoins in block 170. Hal Finney was also the first person to ever mention Bitcoin on Twitter. 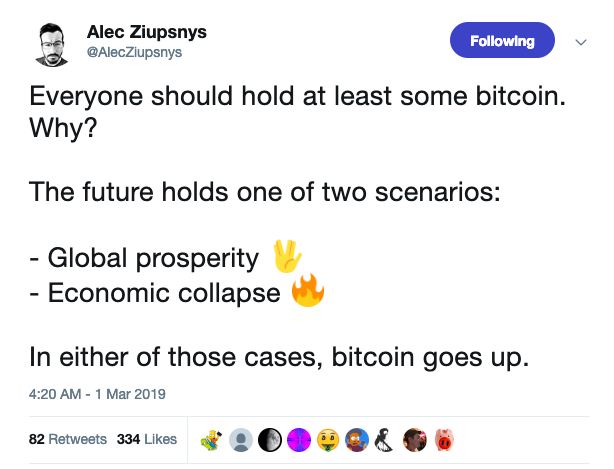 On the 10th of January, 2009, just a few days after Bitcoin was launched Hal Finney tweeted his famous tweet which simply stated “running Bitcoin”. Some people think that Hal Finney was the real Satoshi, but Hal himself always denied this. Hal Finney suffered from ALS, which is a progressive neurodegenerative disease that slowly paralyzes the body. Hal Finney continued to code thanks to his equipment that could read his eye movements. Sadly he passed away in 2014 when he was 58.